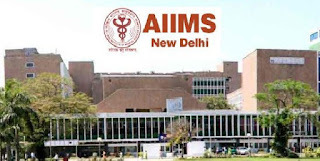 All India Institute of Medical Sciences Delhi Recruitment Notificaition 2018.AIIMS Delhi inviting applications for the positions of Radiographers.Interested and Eligible candidates can apply for the positions. Maximum upper age limit for candidates is 30 years. B.Sc (Hons.) in radiography or B.Sc radiography 3 years course from a recognized university can apply for radiographer post. Selected candidates as radiographer will get Rs.25,000/- per month. Through interview test candidates will be selected. On 05th September 2018 candidates can appear for the interview. Jawaharlal Nehru Auditorium, AIIMS, New Delhi.